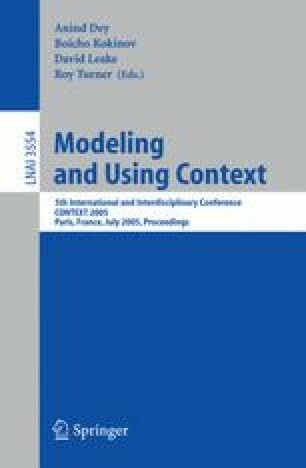 This paper presents an attempt to point out some problematic issues about the understanding of context. Although frequently used in cognitive sciences or other disciplines, context stays a very ill-defined concept. Our goal is to identify the main components of the context on the basis of the analysis of a corpus of 150 definitions coming mainly from the web in different domains of cognitive sciences and close disciplines. We analyzed this corpus of definitions through two methods, namely LSA ,  and STONE , , and we conclude that finally the content of all the definitions can be analyzed in terms of few parameters like constraint, influence, behavior, nature, structure and system.